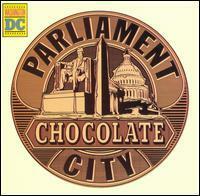 Chocolate City is a 1975 album by the funk band Parliament. It has a theme of love of Washington, D.C., where the group was particularly popular. The album's cover includes images of the United States Capitol, the Washington Monument, and the Lincoln Memorial in the form of a chocolate medallion, as well as sticker labeled "Washington DC".